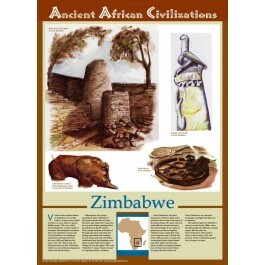 This unique educational poster features several illustrations depicting artifacts and features of the ancient civilization of Zimbabwe, along with a clearly explained description of that civilization, and a small map showing its location in Africa. 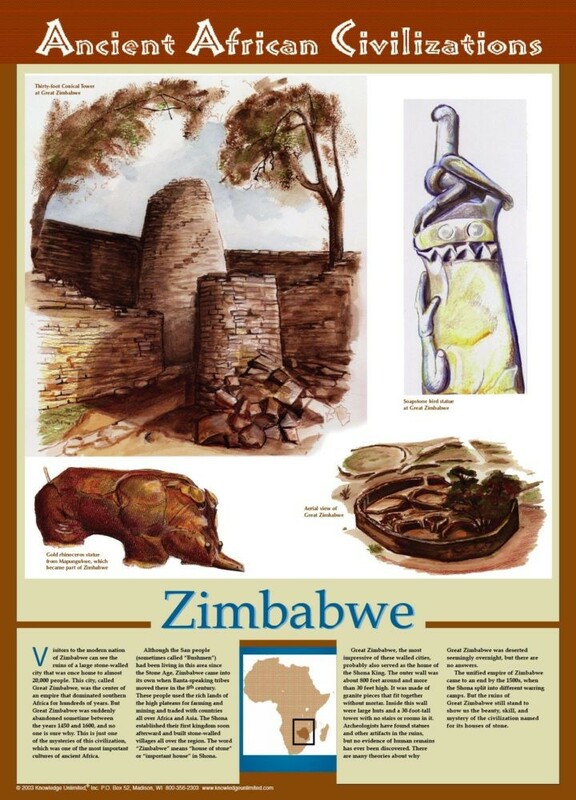 The city of Great Zimbabwe was the center of an empire that dominated southern Africa for hundreds of years. But it was suddenly abandoned sometime between the years 1450 and 1600. This is just one of the mysteries of this civilization, which was one of the most important cultures of ancient Africa. This poster is a great way for students to learn about this remarkable ancient civilization of Africa and its impressive achievements.